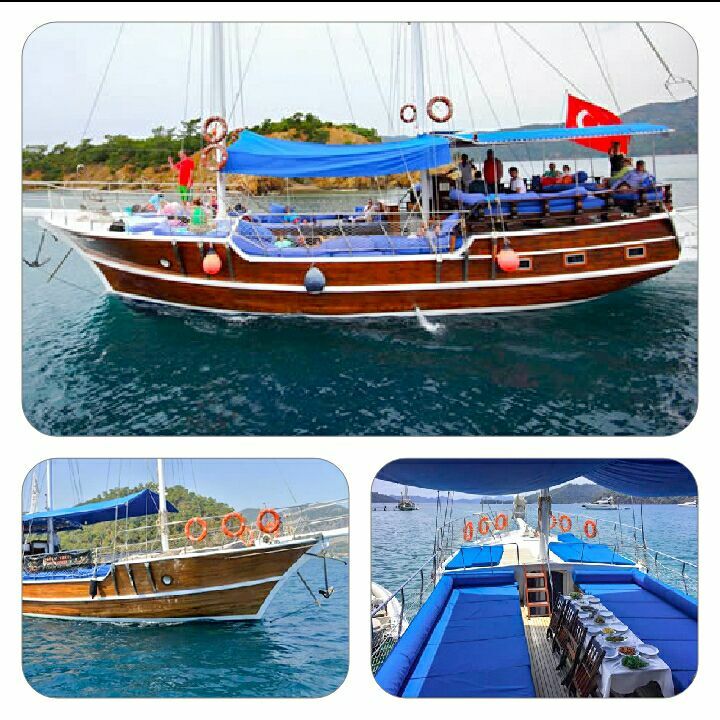 Volkan’s Adventures have always been proud to provide you with something different from the norm. 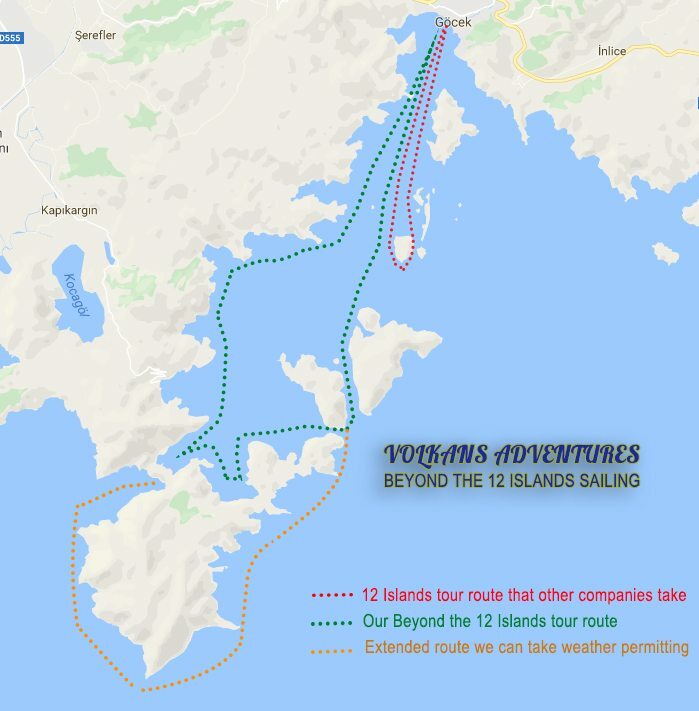 In the past two years our Beyond the 12 Islands sailing tour took you on a journey that no other boats would, and now for this season we’ve made it even more unique. 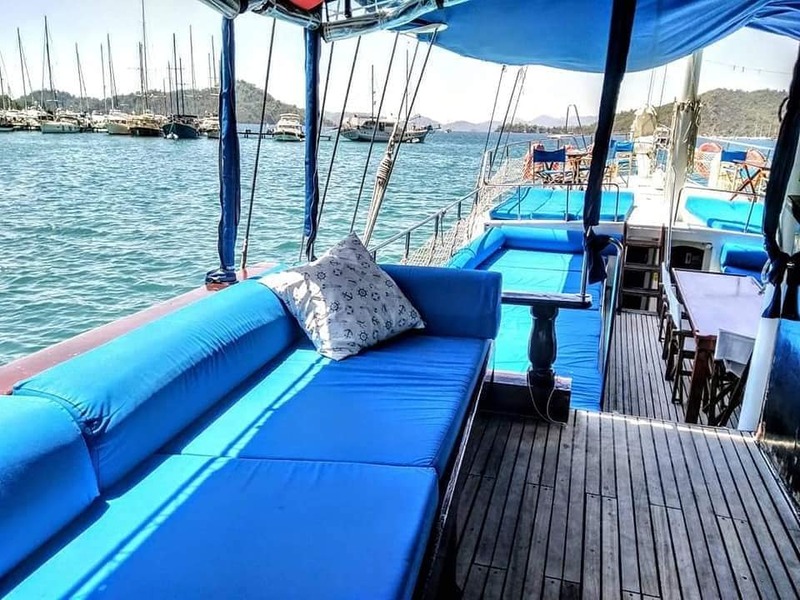 After picking you up from your accommodation between 9.00am and 9.30am we will make the thirty minute journey to Gocek in our air conditioned comfortable mini bus. 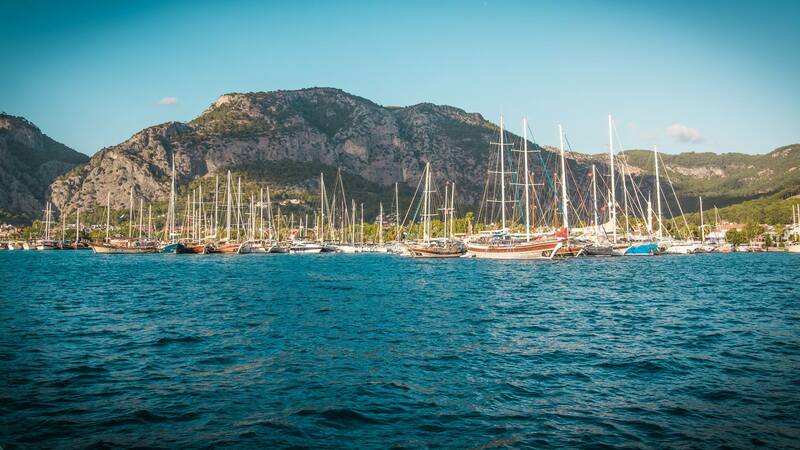 Upon arrival at the harbour it’s just a short walk along the jetty to reach our brand new boat. 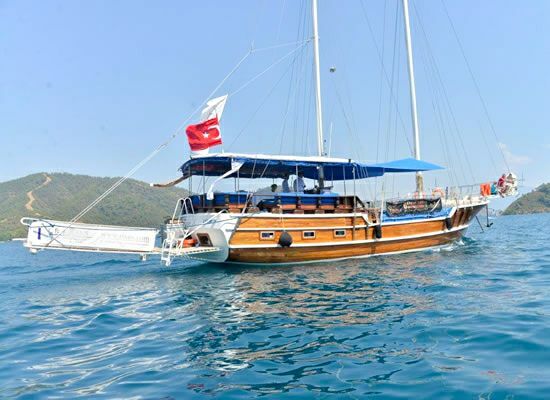 This boat is a stunning 19 metre long championship Mediterranean wooden gulet with deluxe sunbeds, a fabulous rear lounge area, toilet facilities and a fully equipped kitchen area. 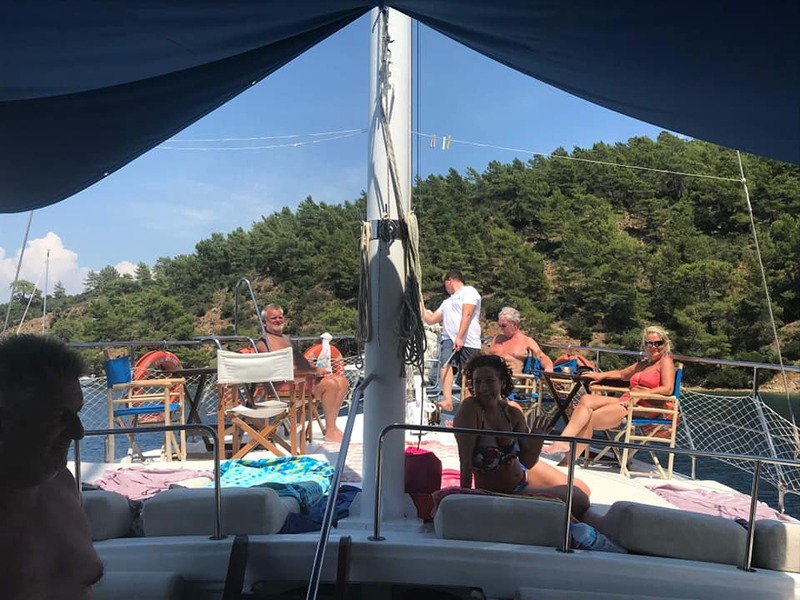 With capacity for 35 guests, the fact that we will only take a maximum of 16 on any one trip means there will be more than enough space for everyone to truly relax and enjoy this fabulous day to come. 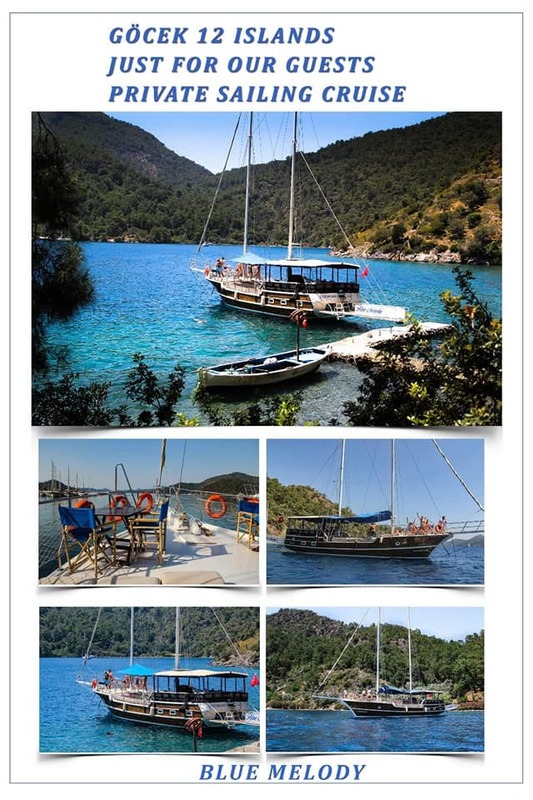 Our first stop will be the stunning Summer Harbour, directly behind the shipyard. 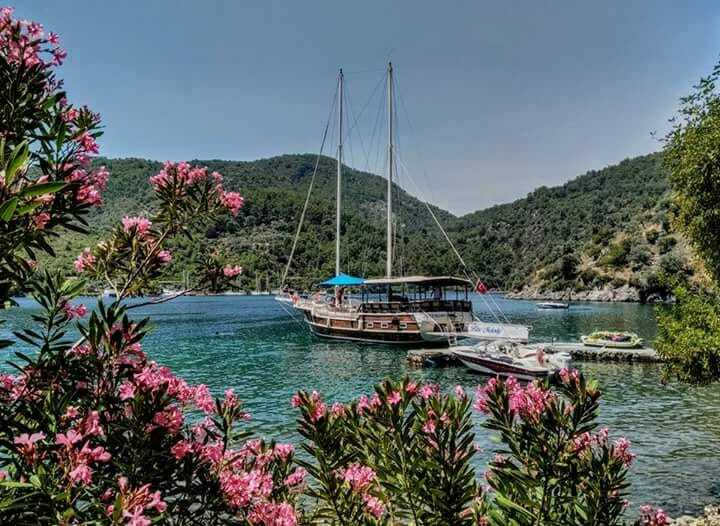 During the period of Carian civilisation the ancient name of the shipyard was Telandria and was the second port in the bays. As history reports, if sea conditions were calm the captains would moor their boats in Summer Harbour, but when they were rough they would head to Telandria for safety. 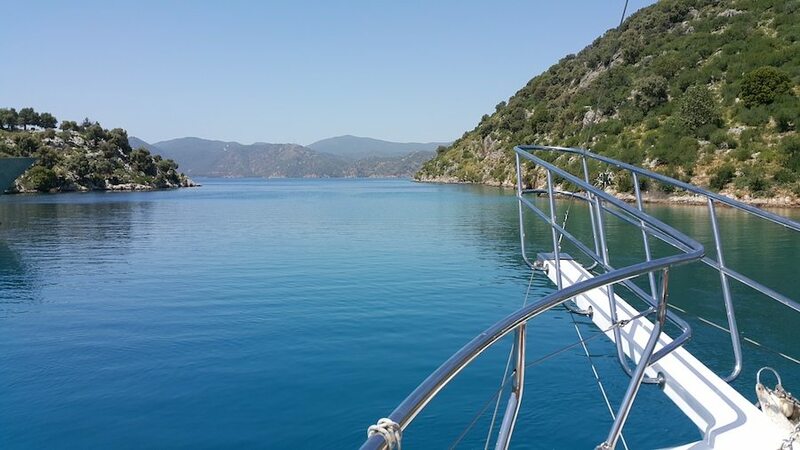 After a swim break here we will leisurely move along to our second stop – the equally beautiful Mardivenli bay where there are yellow coral reefs deep below the surface and the water is wonderfully calm. 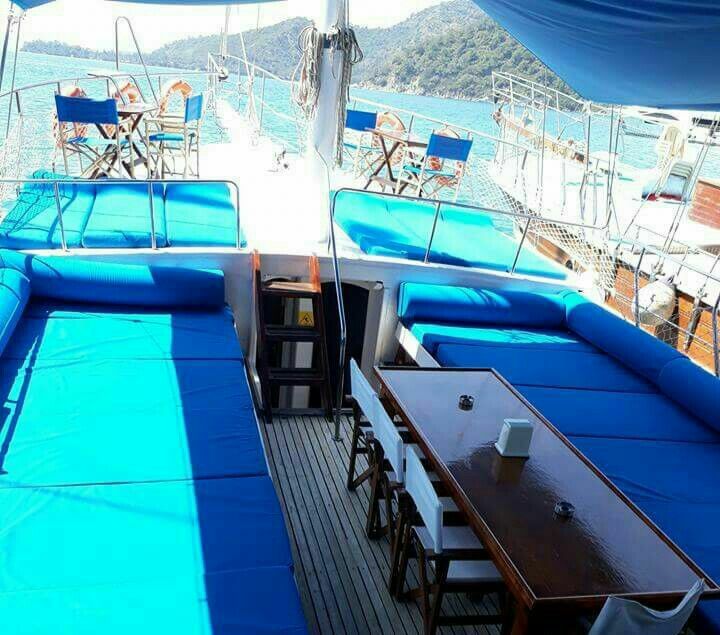 As you relax and enjoy your peaceful surroundings the Captain will be preparing your lunch. Ready your tastebuds for a sumptuous feast, marinated chicken and home made meatballs accompanied by a staggering array of freshly prepared mezes, salads and breads. 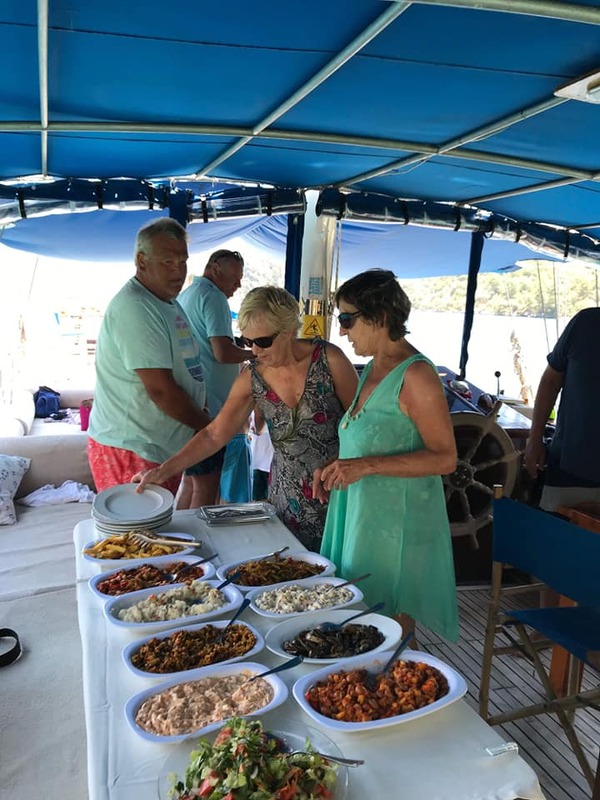 Fish, vegetarian and vegan options can all be available if requested at the time of booking and all dietary requirements can of course be catered for. 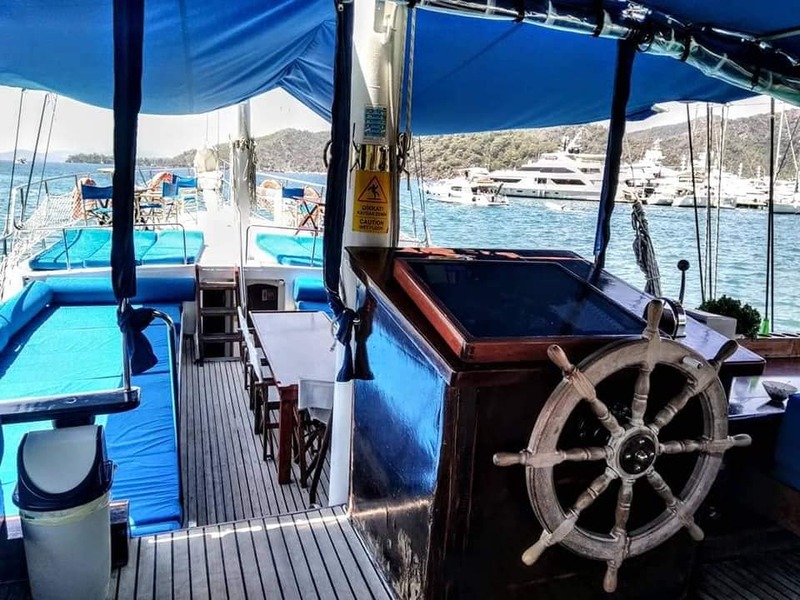 The onboard bar will be fully stocked with alcoholic and non alcoholic beverages for the duration of the trip so you can quench your thirst however you choose. 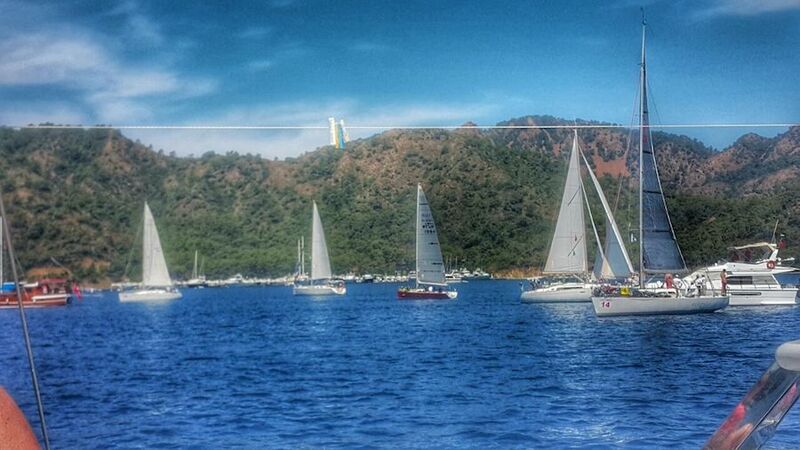 TIP: If you love sailing why not spend the whole day with us by joining our Song of the Seas Sailing all day adventure! 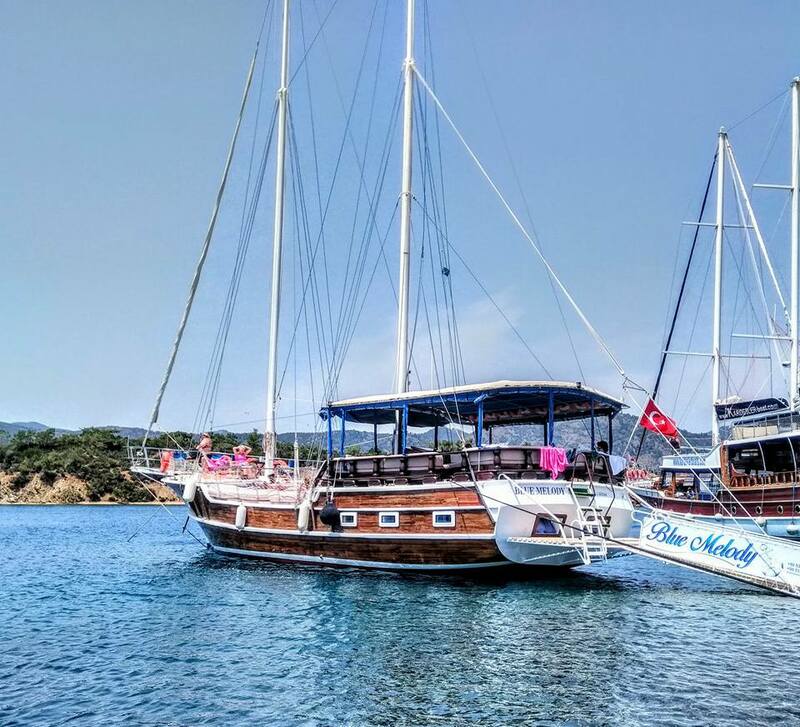 After lunch we will hoist our sails and, weather permitting, sail across to the breathtaking Bedri Rahmi bay where we will indulge ourselves in the stunning scenery and warm waters for our penultimate swimming experience. 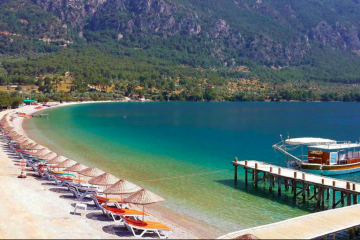 It is a little known fact that the name of this bay comes from a great Turkish writer and painter. 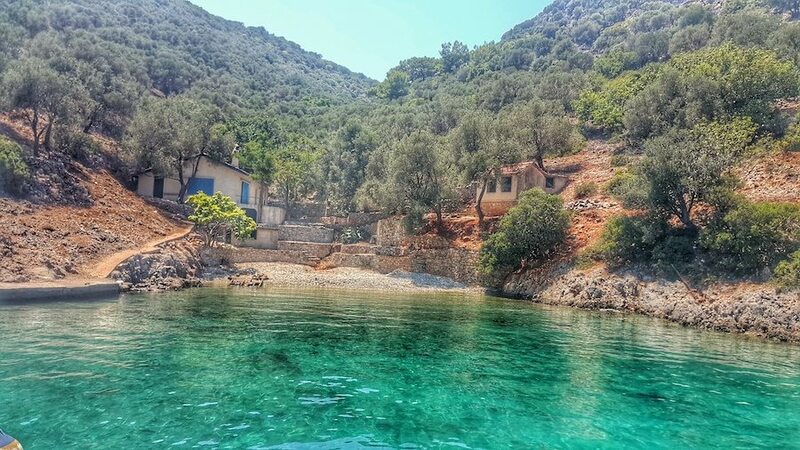 Bedri Rahmi Eyuboglu and his friends discovered this beautiful Lycian coast and in 1973, during one of his voyages to the area, he painted a fish on a rock behind a fountain of the bay. After that the bay was renamed after him. 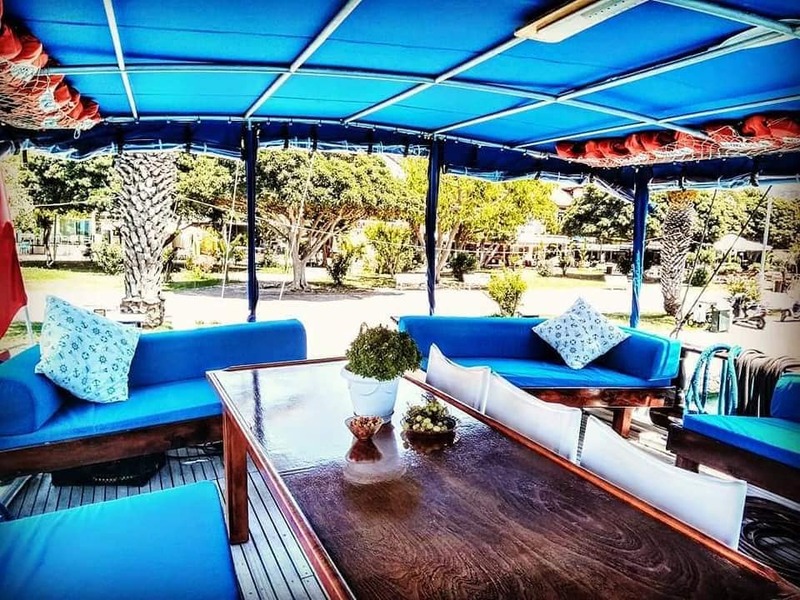 Afternoon tea, coffee, cakes and fresh fruits will be provided for you to savour as you take in the magnificent sights that surround you in this picture perfect environment. 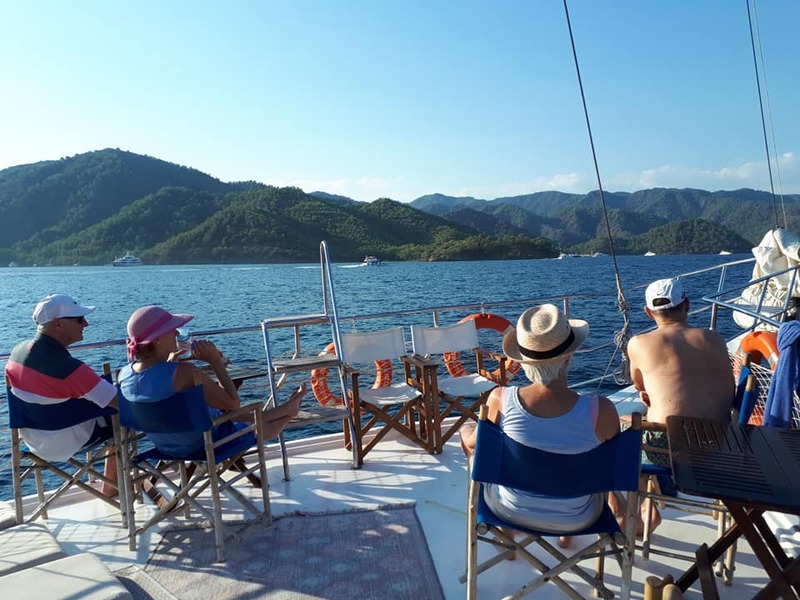 Following our time here we will begin to make our way back to Gocek harbour, incorporating our final stop in the secluded Boynuz Bay. 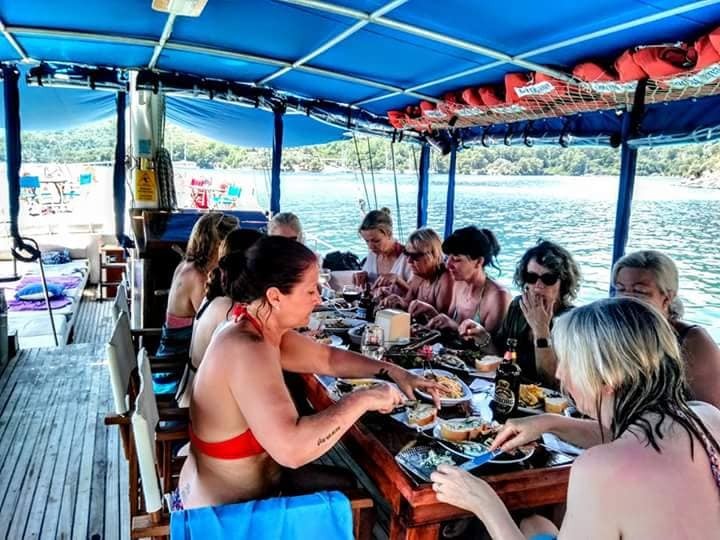 As always we promise to take you where no other tour operators venture so the waters will be clear for you to enjoy as you wish. 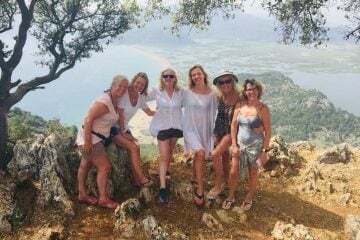 Our aim is to return to Gocek harbour between 5.00pm and 5.30pm where the mini bus will be waiting to transport us back to Dalyan. – Unsurpassed knowledge of local guide to inform you about the immense history of the area. ** You can watch the short video collected from our trips here. RETURN TIME Approximately 18:00 PM. Volkan went out of his way to accommodate my friends and I when the season hadn’t even started! He is a delight to work with and is very hospitable. 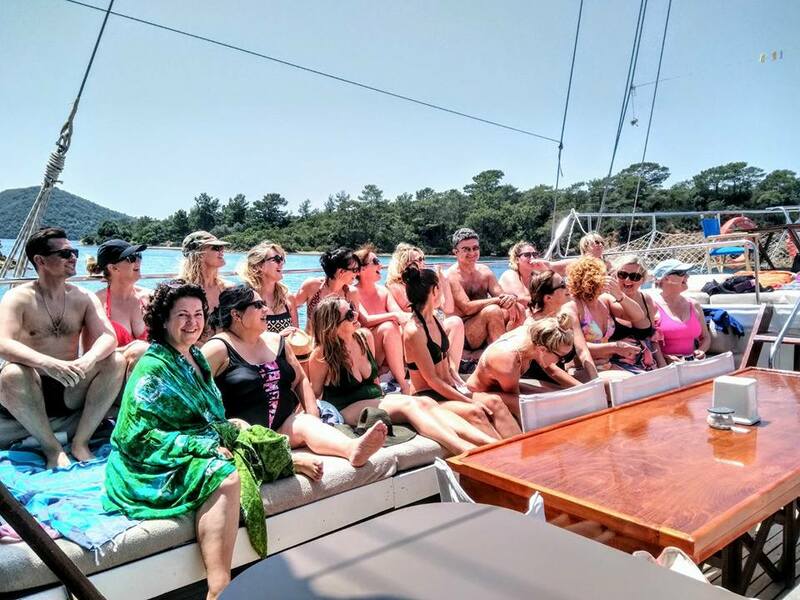 We did the Beyond the 12 Islands tour and it was everything we could want and more. 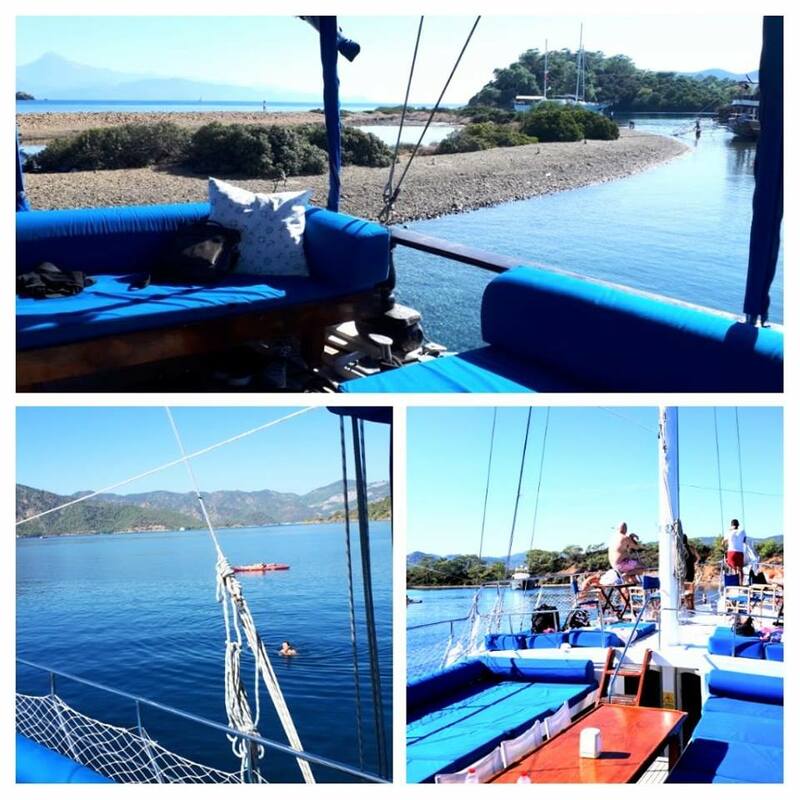 Beautiful scenery, relaxing/tanning on the boat, good food, and plenty of swim stops. 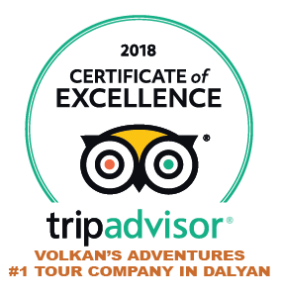 I could not recommend taking a tour with Volkan’s Adventures more! 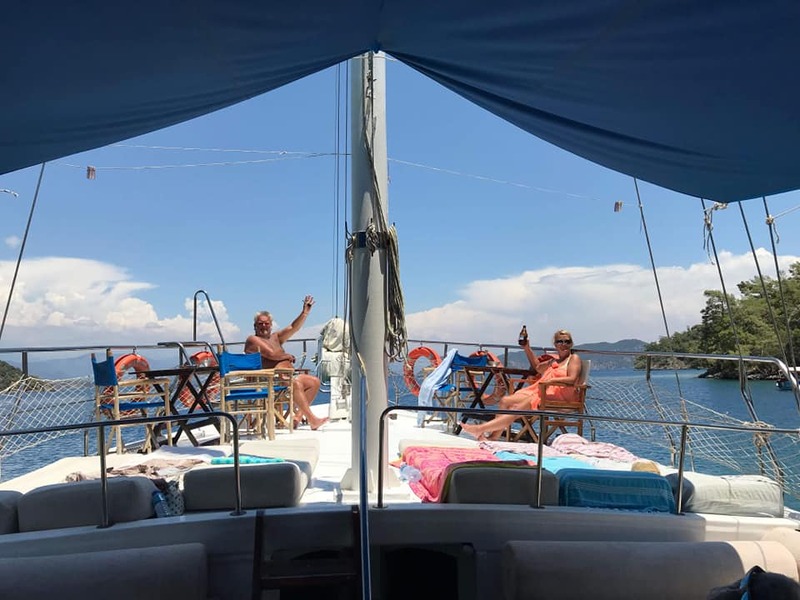 Another fantastic day with Volkan and his team.Picked up at our apartment at 9.30pm for the 40 minute drive to the Marina at Gocek ( a very,very upmarket area) where we went on board the boat, there were plenty of sunbeds and shaded areas for the group of 12. This was a great lazy day, with one stop at the most incredible bay, here there were hot springs bubbling up from the sea bed. 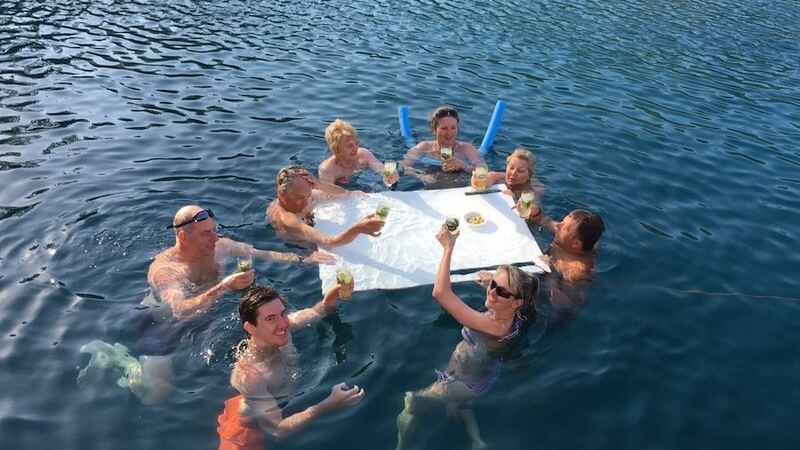 There were other swimming stops, interspaced with lounging in the sun sipping either water, fruit juice or something a bit stronger! 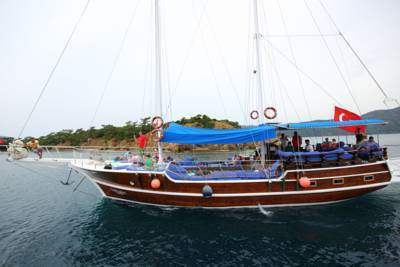 Volkan explained all about the islands we were passing, making it an informative day as well as a relaxing one. Lunch was prepared by “mama”, who provided a superb spread of chicken, meatballs and a great variety of Turkish Mezes. 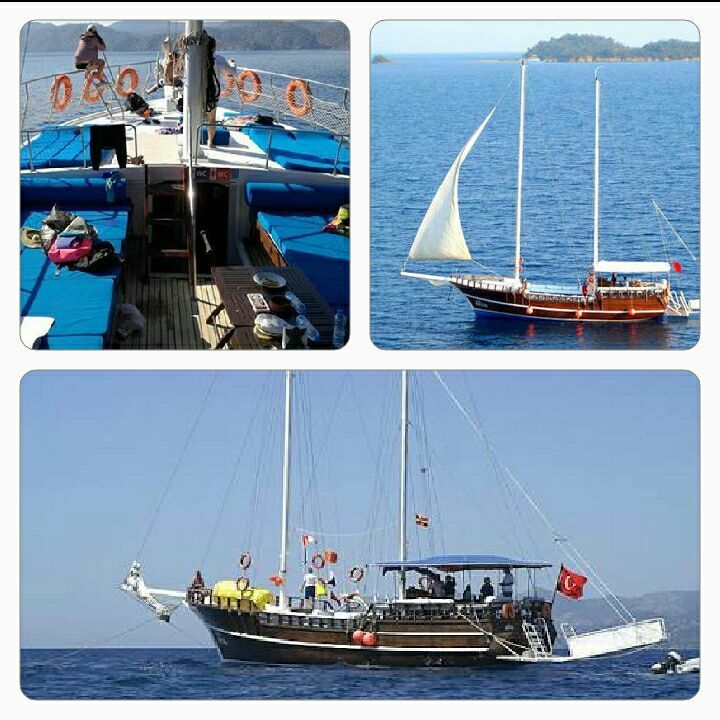 On the trip back in to Gocek the engine was cut and the sail hoisted, the most peaceful time on the water you can imagine. 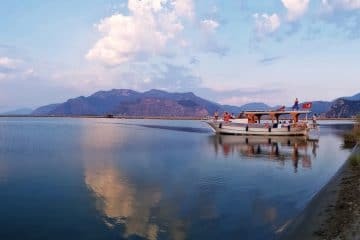 After a full day of swimming, sunbathing and good food I nearly fell asleep on the drive back to Dalyan. 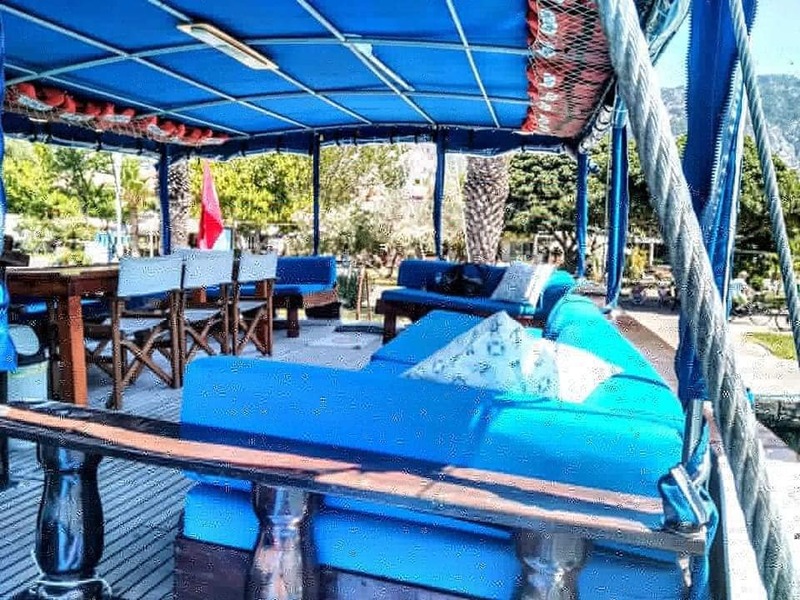 Bir tatil ancak bu kadar güzel yaşanabilirdi. 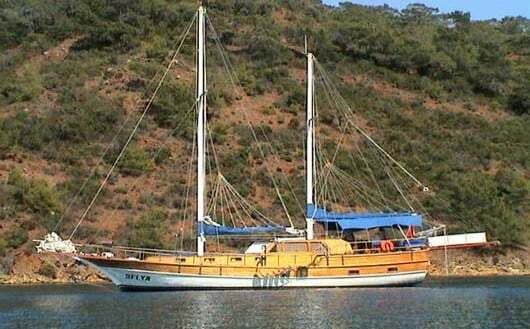 O güzelim doğayı, diğer turların uğramadığı yerlerde yaşatan Volkan Bey ve ekibine çok teşekkürler. 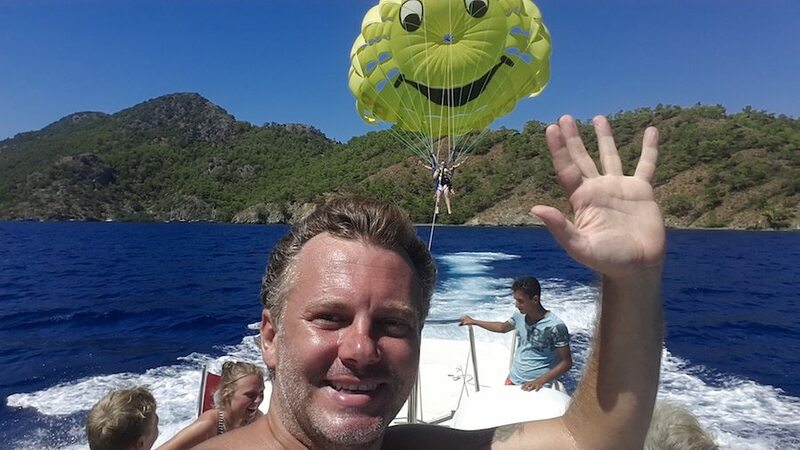 Kocaman teknede, çok az insanla, koyların keyfini sürmenin verdiği özel hissi ancak bu tura katılarak anlayabilirsiniz. 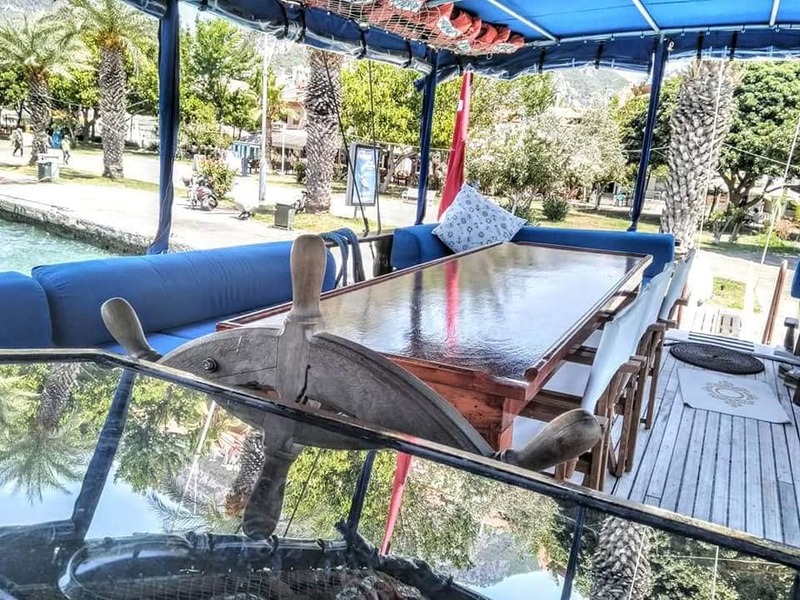 En güzel Restaurantlara taş çıkartacak zenginlikte menün keyfini de sonuna kadar yaşattık. 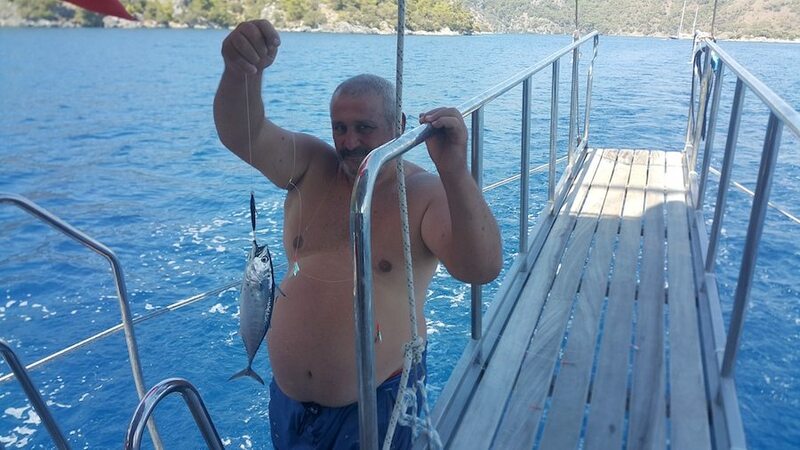 Teşekkürler Volkan Bey.